How do you celebrate Dr. Martin Luther King Jr. Day in a way that truly honors his legacy? It’s not easy for a figure of Dr. King’s stature. Service is important for us at HIP. Instead of taking a day off, we keep our Senior Meals program running. We also see a larger number of volunteers who look for opportunities to volunteer on MLK Day. 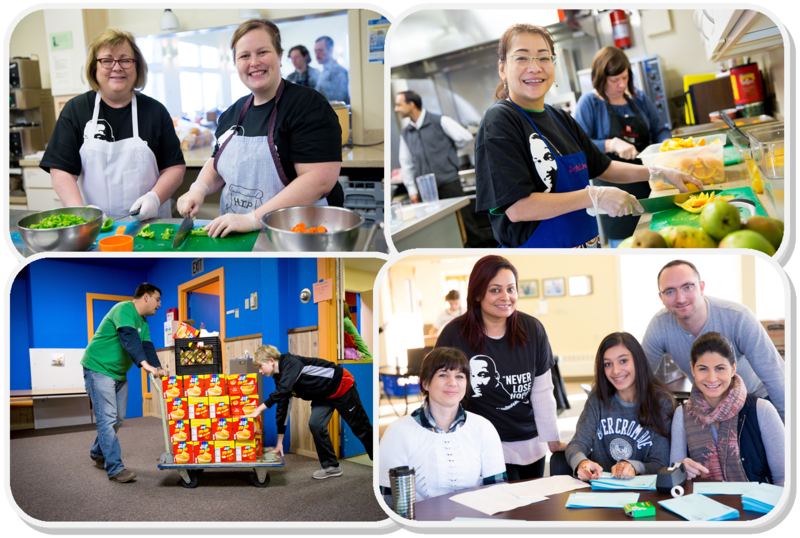 This year we hosted a wonderful group of volunteers from Starbucks, through the United Way of King County. They helped us with preparing and serving meals, repackaging foods for our Healthy HIP Packs program, rearranged our storage spaces, and also helped with deep cleaning the kitchen. Just in the span of a few hours, we got a LOT done! When planning for this year’s MLK Day, however, we wanted to do more. Dr. King’s legacy extends far beyond providing basic service. He implored us to address structural injustices, not just the symptoms, when he famously said: “True compassion is more than flinging a coin to a beggar; it comes to see that an edifice which produces beggars needs restructuring.” In the context of our work of improving food security, that means it’s not enough for us to provide meals to people who need them. We must also ensure that people don’t fall into hunger because of poverty, homelessness, or any other reason. Dr. King called out injustices when he saw them often against the advice of some of this closest allies. He spoke out against war, economic inequality, imperialism and more. He was a lifelong activist who led many civil disobedience protests against laws that he felt were unjust. He was arrested close to 30 times. So how do we really honor his legacy?